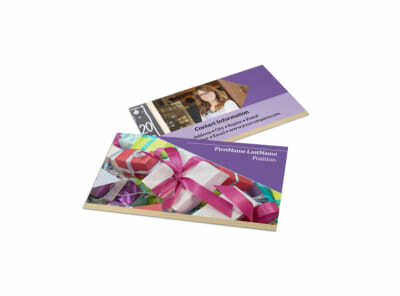 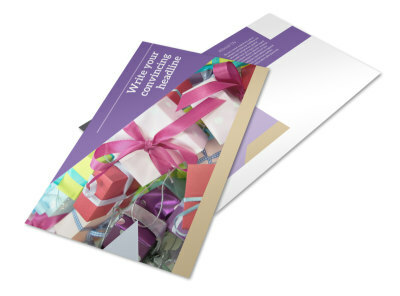 Customize our Gift Shop Flyer Template and more! 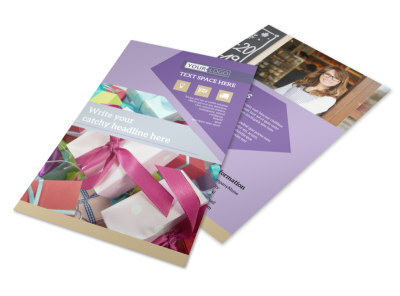 Let shoppers know where to find your gift shop and the types of promotions that you offer with gift shop flyers customized using our online editor and template. 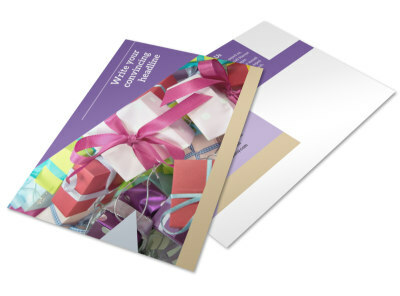 Upload photos featuring some of your most popular gift, collections, and other items, and then use custom text to deliver the details of any sales or offers you have ongoing. 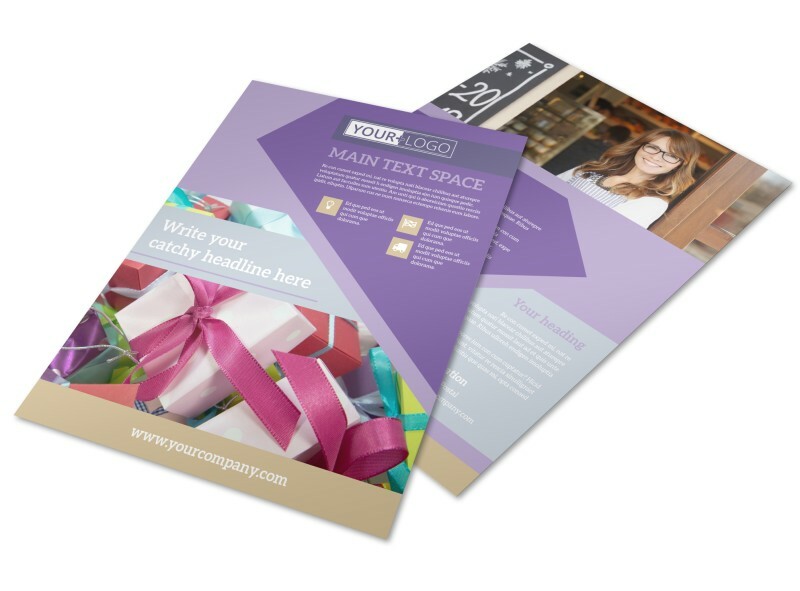 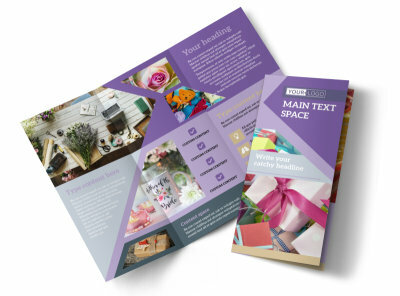 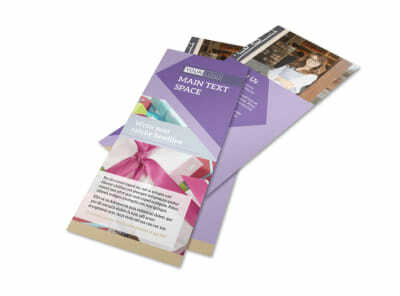 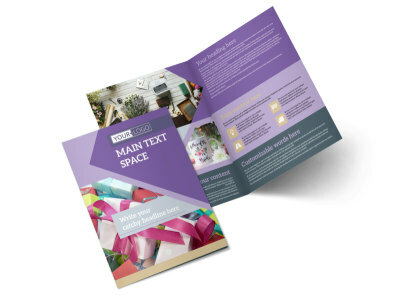 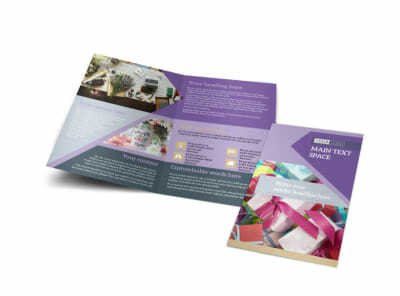 We offer premium printing of your finished flyers, or you can print them yourself using your own equipment.